As nearly 20 percent of children in the United States suffer from childhood obesity, researchers continue finding health risks that could prove to be troublesome for both adolescents in the short- and long-term..
A new study found that childhood obesity could lead to an increased risk of developing pancreatic cancer later in life. The researchers, led by Dr. Zohar Levi of Rabin Medical Center and Tel Aviv University, analyzed medical records for over one million men and over 700,000 women from 1967 through 2002. All participants were between the ages of 16 and 19 years old. By the time the participants were re-examined -- an average of around 23 years after the first exam -- 551 new cases of pancreatic cancer were identified. One of the biggest findings showed that men were at a greater risk than women of developing pancreatic cancer. Of the 551 new cases, just 128 were women, while 423 were men. However, when factoring in weight, obesity affected slightly more women’s diagnoses than men’s. The women in the study characterized as obese were over four times as likely to be diagnosed, whereas men were 3.67 times as likely to be diagnosed. “The overall population attributable fraction of pancreatic cancer due to adolescent overweight and obesity was 11 percent among this...population,” Dr. Levi said. The researchers also found that overweight men were at a greater overall risk of developing any cancer -- and not just the pancreatic variety. The male participants that were classified as obese had a 97 percent higher risk of developing cancer compared with those of normal weight and BMI. A great deal of research has been done on health risks associated with obesity -- for both children and adults -- in an effort to promote healthier choices and lifestyles among consumers. A recent study conducted by Harvard researchers found that a mother’s lifestyle can greatly impact a child’s likelihood of developing obesity. Mothers who were found to follow five healthy habits -- eating a healthy diet, exercising regularly, keeping a healthy body weight, drinking alcohol only in moderation, and not smoking -- had children who were 75 percent less likely to develop obesity. 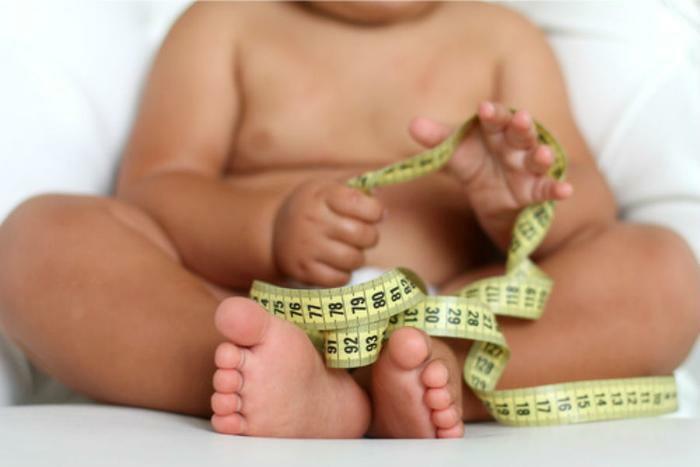 When both mother and child practiced the habits, the risk of obesity was 82 percent less. A study conducted earlier last month found that asthma is linked to childhood obesity. While countless studies have explored the ways obesity leads to asthma, this was the first to explore the reverse relationship. Overall, the study found that children who have asthma were 66 percent more likely to develop obesity, while children who were on asthma medication were at an even greater risk. A group of researchers from the University of Bristol recently found that obesity is tied to a greater risk of mortality, as it can lead to cardiovascular disease and several different kinds of cancer. “The findings highlight the need for a global effort to reduce the surging levels of obesity within society and suggest that in most cases, any reduction in body mass index to a normal, healthy level is likely to be beneficial,” said lead researcher Dr. Kaitlin Wade.